Fenway Park, Saturday, 8/30/03: Yankees versus Red Sox. Not just a special day in a historic rivalry but a unique one in the long tradition of baseball writing. For on this day award-winning sportswriter Steve Kettmann worked with a team of top reporters to chronicle everything that happened, from the point of view of everyone involved. With One Day at Fenway, Kettmann goes beyond the ballpark to bring you interviews and anecdotes involving all the major players—from Red Sox owner John Henry and CEO Larry Lucchino, privately second-guessing Grady Little's managing moves during the game; to Yankee skipper Joe Torre, worrying on the bench about Mariano Rivera, who can't find home plate; to Sox slugger Manny Ramirez, who missed the game with a throat infection. And there's more: the famous and infamous players in the field and in the boardrooms, rabid fans on both sides, the not-so-innocent bystanders—all here in this brilliant re-creation of a day in the life of America's favorite pastime. "An ambitious undertaking and a riveting read." "Fierce...Fun...and often riveting. A rare inning-to-inning insight into the sport." 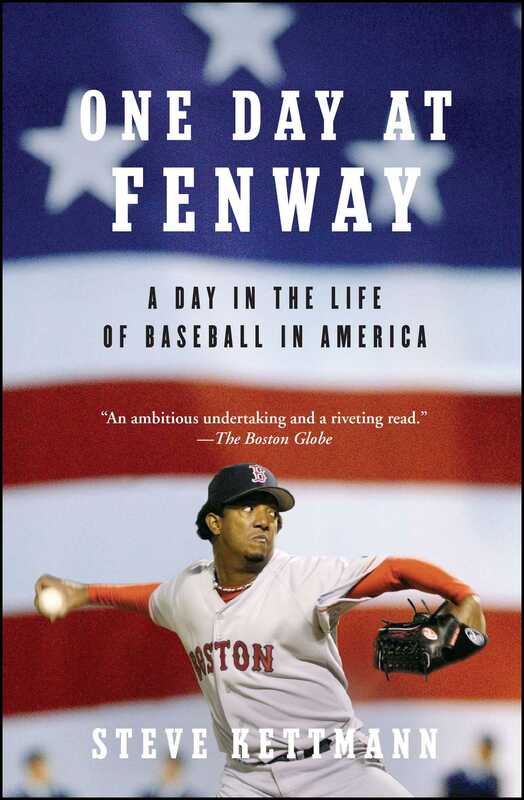 "I was blown away...Steve not only captured the intensity on the field but also the layers of interest that surround the greatest rivalry in sports." "Fascinating...The Black Hawk Down of baseball."